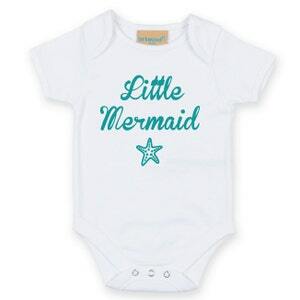 Personalise this cute Baby Bodysuit by adding the Baby's name. 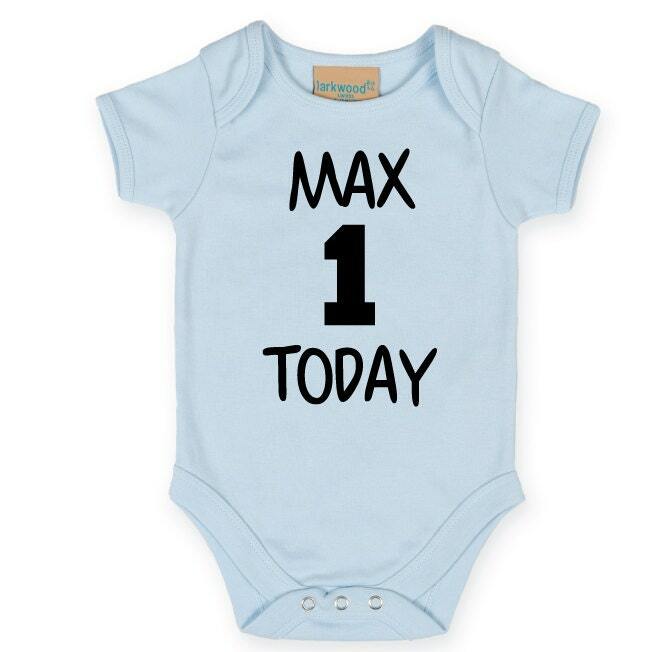 This soft quality 100% cotton short-sleeved bodysuit features an envelope neckline with bottom popper fastening. It has self coloured binding on the neck, cuffs and leg openings. 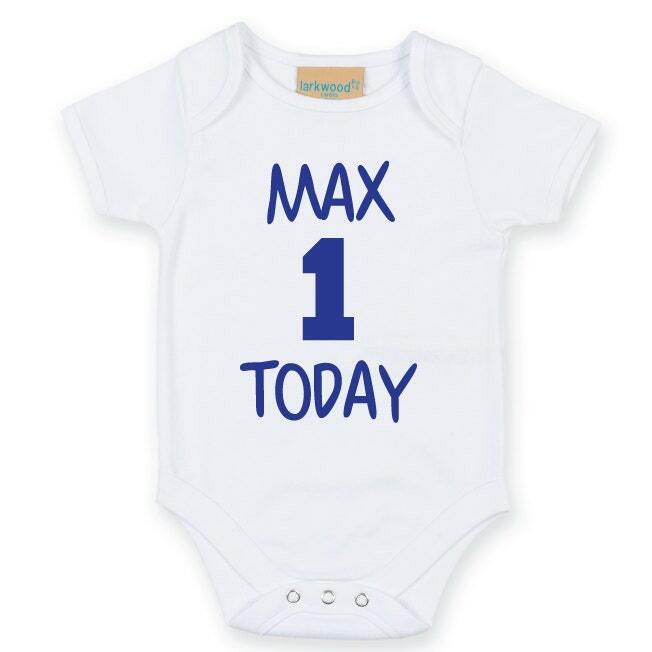 Customize this cute Baby Grow with the Baby's Name to celebrate his first Birthday. 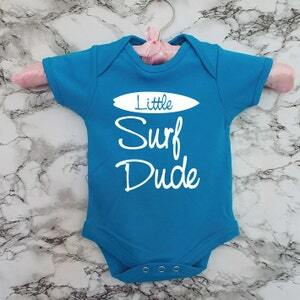 Lovely Gift and great for photo shoots to create wonderful memories.